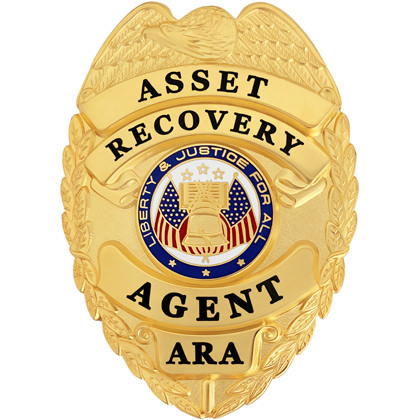 This Asset Recovery Agent badge is perfect for agents and recovery specialists doing asset recovery work. This master-crafted, law enforcement quality badge with its eagle-top design and clear “Asset Recovery Agent” bold black engraving will ensure that your presence is known. This badge measures 3″ x 2 1/4″. This Asset Recovery Agent badge is outfitted with a heavy duty clip style attachment.